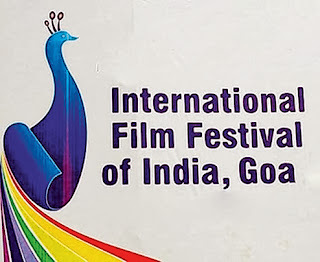 Guwahati, Nov 12 : The 44th International Film Festival of India, Goa, 2013, will go down as a watershed for Mizo cinema when the film Khawnlung Run makes its debut in an international festival circuit. The film, directed by Mapuia Chawngthu, has been selected as the opener for a separate section, Focus: North East. 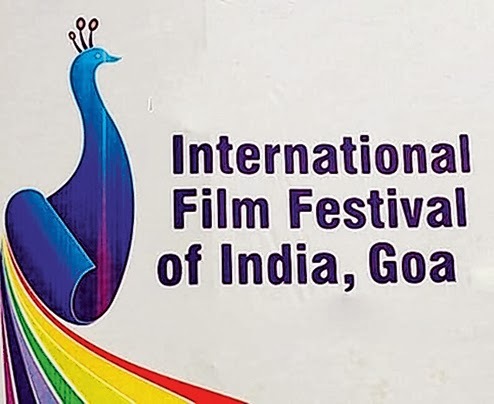 The festival, which will be held from November 20 to 30, will highlight the Northeast, with the organisers planning to screen over 20 films from the region between November 22 and 27. Khawnlung Run tells the story of a star-crossed couple against the backdrop of petty feuds between the Pawi and a Lusei villagers in the late 1850s. This had led to the plunder of Khawnglung village by Pawi chiefs, marked as the bloodiest and cruellest attack in the entire history of the Mizos. Sources said Seema Biswas and Adil Hussain will be the special guests at the opening ceremony. Naga folk fusion band, Purple Fusion from Dimapur, will perform on the opening day. The films from Assam to be screened are Rupkonwar Jyotiprasad Aru Joymoti directed by Bhupen Hazarika, Panoi Jongki directed by Dilip Doley and Narayan Seal in Mising language, Papori directed by Jahnu Barua, Hagramayo Jinahari directed by Jwngdao Bodosa in Bodo language, Agnisnaan directed by Bhabendra Nath Saikia, Baibhav — A Scam in Verse directed by Manju Borah and Wosobipo directed by Gautam Bora in Karbi language. Rupkonwar Jyotiprasad Aru Joymoti is a documentary on the making of Joymoti (1935), the first film in the Northeast made by Jyoti Prasad Agarwala. The films from Manipur to be screened are first Manipuri film Matamgi Manipur (1972) directed by Deb Kumar Bose, Haobam Paban Kumar’s documentary The First Leap (on making of Matamgi Manipur), Aribam Syam Sharma-directed Ishanou and Oinam Doren’s Songs of Mashangva. Ahsan Majid’s Sonam in Monpa language from Arunachal Pradesh, Prashant Rasailly-directed Kathaa from Sikkim, Dondor Lyngdoh and Gautam Syiem-directed Ka Lad from Meghalaya, Tianla Jamir’s Going the Distance from Nagaland and Joseph Pulinthanath-directed Yarwng in Kokborok language from Tripura will be the other films set for screening. Arup Manna’s Assamese film Aideu, a biopic on Joymoti’s heroine Aideu Handique, will be screened at the closing ceremony of the Northeast section on November 27. It will also have a special performance of Manipuri martial arts thang ta. The special section will pay homage to Hemendra Prasad Barooah by screening Ek Pal, produced by him. In the musical section on Indian cinema, Bhupen Hazarika’s Chameli Memsaab, which won the National Award for Best Music in 1975, will be screened. The Northeast section has been curated by national award-winning film critic Utpal Borpujari, who will also moderate a panel discussion on the region’s cinema. Among the participants in the discussion will be Sahitya Akademi Award-winning author Yeshe Dorjee Thongchi from Arunachal Pradesh, Aribam Syam Sharma, columnist Patricia Mukhim from Meghalaya, actress Meena Debbarma from Tripura, Manju Borah from Assam, Mapuia Chawngthu from Mizoram, Prashant Rasailly from Sikkim and Tianla Jamir from Nagaland. The festival’s overall art director is veteran Assamese film director and painter Pulak Gogoi. There will be performances of northeastern folk dances every evening, apart from handicraft exhibitions and a northeastern food stall. These are in addition to Manju Borah’s Mising language feature film Ko:Yad and documentaries Manipuri Pony by Aribam Syam Sharma, Resonance of Mother’s Melody by Dip Bhuyan and By Lane No. 2 by Utpal Datta, which are part of the Indian Panorama section.